Scrutinize the picture on the right – There is really nothing more to say. 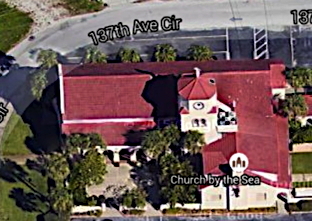 Yes, this is an actual church in St. Pete’s beach near St. Petersburg in Florida, USA. You can even find it on a satellite map (below). Amazingly, I’ve been close by at the VSS meeting but did not know about it then. Will check personally next time. 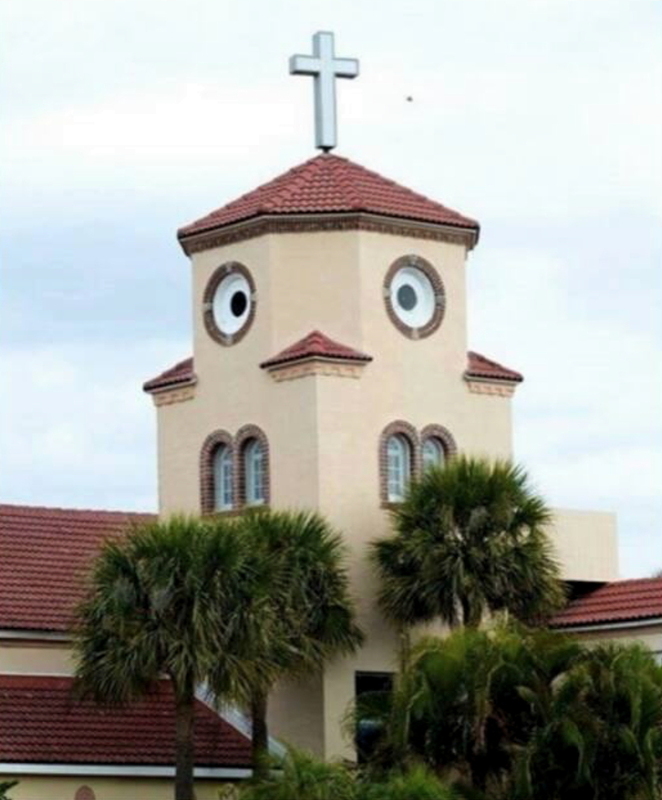 I placed this into the category “Faces”, because I simply cannot not see it as a chicken face. There are many pictures of that church floating on the internet. It seems to have gone viral in 2013, the best quality picture I found is here (frequently copied). I learned about it much later thanks to daughter Maren.